BSP Supremo Mayawati today demanded a judicial probe into the police “encounter” on the outskirts of Bhopal in which eight SIMI members were killed. She said the events leading to the escape of the undertrials from the Bhopal Central Jail and the subsequent shootout on Monday had raised many questions. There were contradictory statements emanating from Madhya Pradesh, she said in a statement. While it was being said that the terrorists were unarmed and were apparently trying to talk and surrender, they were still killed, the Bahujan Samaj Party leader said. “Prima facie the matter appears to be very suspicious and only a judicial probe can answer these doubts,” she said. She alleged that use of police force for furthering its political agenda was not new to BJP-ruled states and pointed out that attempts to hush up the Vyapam scam showed the Madhya Pradesh Police in poor light. Rashtriya Janata Dal (RJD) chief Lalu Prasad Yadav today demanded a high-level impartial probe into the killing of eight undertrial SIMI activists in an alleged “encounter” with police in Bhopal. “There should be a high-level impartial probe into the killing of the eight activists of SIMI,” Lalu Prasad told the media here. Lalu Prasad said only a high-level probe would clear the suspense over whether it was a real or fake “encounter” that followed the escape of the men from the Bhopal Central Jail. “Going by several reports, it appears that killings by the police raised several unanswered questions,” he said. 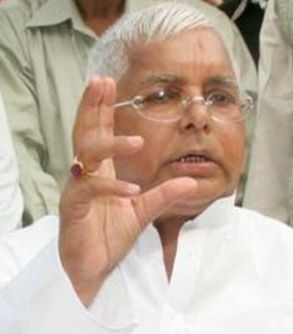 Lalu Prasad also attacked the Bharatiya Janata Party (BJP) and Prime Minister Narendra Modi for failing to control the situation along the border with Pakistan. “Every day either a soldier or civilians have been killed but the Modi government has failed to control it,” he said.